A maddy laine knitting pattern for a pullover sweater. 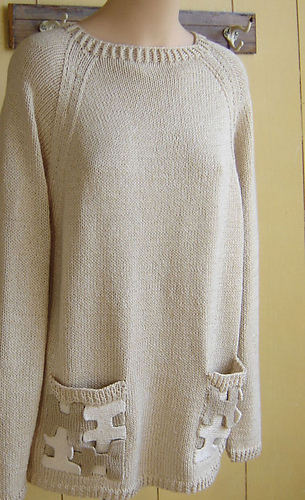 The back and front are knit alike, while raglan sleeves relax on shoulders, narrow or wide. If it seems just too plain, add some color and texture with the lattice pockets. The pattern instructions include color graphics to demonstrate the assembly of the pockets. 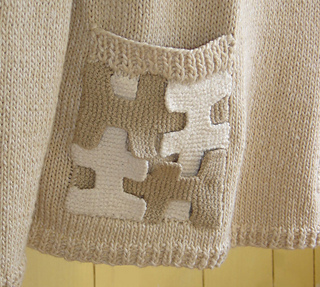 The knitting pattern, written in both US and metric measurements, includes a schematic drawing and color graphics to demonstrate assembly of the pockets.